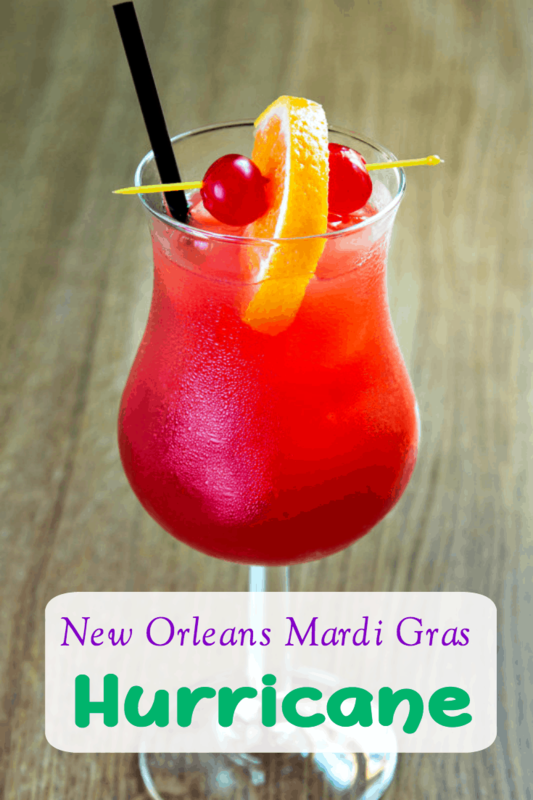 This New Orleans Hurricane Drink Recipe is a powerful tropical drink that will transport you to French Quarter during the first sip. Created in the 1940s, the original hurricane had three ingredients: dark rum, passion fruit syrup, and lemon juice. That’s it. Mardi Gras is often referred to as “Fat Tuesday”, which is the last day of the Carnival season as it always falls the day before Ash Wednesday, the first day of Lent. 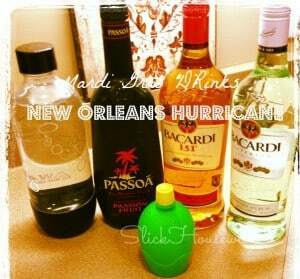 The Hurricane is a fruit-colored relative of the “daiquiri”, and it’s credited to New Orleans tavern owner Pat O’Brien. He created the fruity concoction and served it in hurricane-lamp-shaped glasses to give away to sailors. The drink caught on, and it has been a mainstay in the French Quarter in New Orleans ever since. In a shaker, combine everything except the 151 proof rum and shake.